✅ Designed to greatly boost the body's metabolic rate to allow you to burn more calories, preventing fat from clinging to your system. ✅ Designed to provide you with a amazing energy levels while working with the body to turbocharge body fat reduction by burning fat using methods that attack from all angles. ✅ Designed to rupture fat cells that stores toxins, thus releasing those stored toxins to be eliminated. [tab name="Description"] Simply Skinny Elite Weight Loss is here help you lose those unwanted pounds, breaking past plateaus and assisting with destroying fat cells that have plagued you for so long. Simply Skinny's "Elite Weight Loss formula" is the ultimate in appetite suppression, helping you decide when to eat rather than giving in to food cravings associated with dieting starting from day one. The original purple pill that is providing customers with real results, see our testimonies. 6. In the stomach, magnesium helps neutralize stomach acid and moves stools through the intestine. 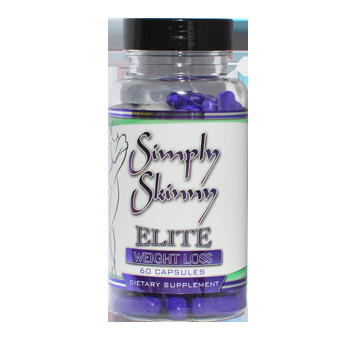 Simply Skinny Elite Weight Loss contains extreme lipolytic agents that are fast absorbing and helps promote long lasting focus and awareness, an increased sense of well-being, and energy levels that will assist with your metabolic rate to help burn fat and literally melts away fat to help you achieve weight loss like no other. It does not rely on monstrous amounts of caffeine, so it does not make you crash. Simply Skinny Elite Weight Loss formula's abilities are superior to the rest!! Tackle your weight loss goals today with Down To Earth Solutions, Simply Skinny Elite! Recommended Use: As a dietary supplement take  capsule 20 minutes before each meal up to  times per day. Due to the strength of the product, assess tolerance by taking  capsule once per day for the first few days. Do not exceed  capsules daily. Average user takes two capsules per day. * Because the ingredient Bauhinia L. Extract affects the thyroid gland, those who are taking medication for their thyroid are advised to check with their physician or pharmacist first to make sure there are no interactions. ** Committed to the safety of our customers and setting a better-business example, Down To Earth Solutions Products are compliant with the Good Manufacturing Practices (GMP) set forth by the AHPA and the FDA. 1. Simply Skinny Elite Weight Loss capsules should be taken in four to eight week cycles with one week off, since taking the supplements for a longer period of time can cause your body to become desensitized to its effects, which means it will no longer respond positively to the powerful ingredients in the supplements. 2. Simply Skinny Elite contains a powerful appetite suppressant, so strong that you'll need to stay on top of your daily protein intake. Adult women need about 46 grams a day. You should get at least 10% of your daily calories, but not more than 35%, from protein, according to the Institute of Medicine.